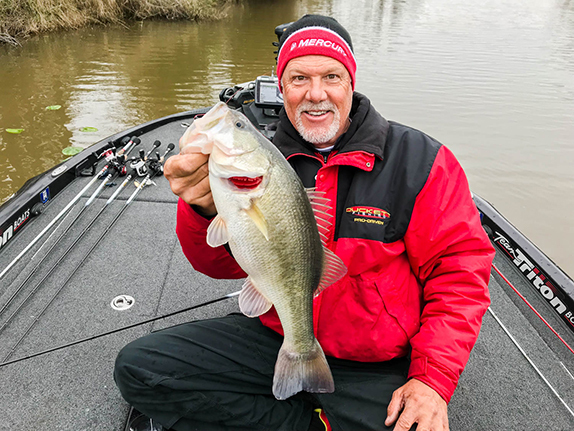 The 47th annual Bassmaster Classic will kick off at Lake Hartwell next week, bringing with it competitive excitement and agony, along with fan enthusiasm, like no other bass tournament in the world. I've attended nearly every Classic over the last two decades and wouldn't miss a Hartwell championship for anything, as the host city of Greenville rolls out Southern hospitality seldom seen these days, and - as my veteran trade show buddies can attest - features the best coconut ice cream in the world. Count me in. This will be the third Classic held at Hartwell since 2008. And while I'd prefer that towns like Greenville host every year, perhaps we need to revisit the importance of the venue chosen. To back up, chosen is probably the wrong word. Negotiated would more closely fit the method used to agree upon a Classic location, and rightfully so. While I've never been behind the scenes in the B.A.S.S. or FLW war room, one could assume the primary hurdle lies in convincing a championship host city of the economic gain associated with the tournament. We've heard a little more public rumbling here recently - as B.A.S.S. recently published an estimated economic gain exceeding $20 million to Greenville - but how accurate are the numbers? One thing I can tell you as an attendee and observer: I spend a bunch of money at the Classic � hotels clearing out most of the budget nowadays � and I'm not alone. 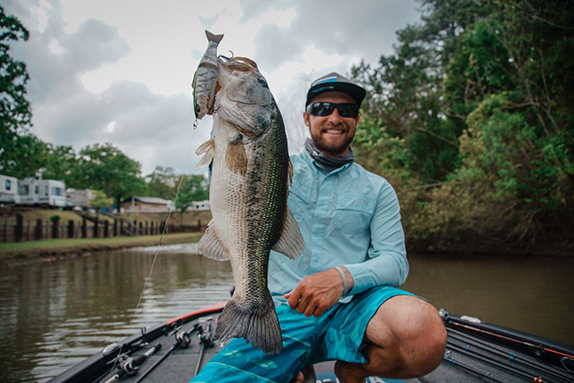 In addition, the Classic Outdoor Expo has become the only game in town for bass junkies and continues to build steam despite retail changes fizzling out most other consumer shows. An any rate, it's not surprising that the major tournament organizations often return to familiar venues for their championship events. Host cities like Greenville recognize the tournament value because they've experienced it before. Relationships are already in place and vendors and attendees feel more at home. Such repeats are nothing new. Several towns have hosted the Classic more than three times - often in back to back years - and, for a decade in the early 1990s, three hosts booked nine events. And it's safe to assume that the negotiations behind securing a Classic often come as multi-year packages, possibly for additional championships or regular-season tournaments, along with extra care and promotion within the B.A.S.S. press. I get that. I'm good with it. But what about the competition itself? How much do repeat venues change the overall outcome of the Classic? I have my theories, and they're probably not what you think. Back in the olden days, it was thought that local fishermen had the upper hand in bass tournaments, and for some time this was true. The Classic, however, always seemed to even the field, likely due to both the competitive pressure and the tight schedule competitors kept. In fact, if my memory serves me correctly, it wasn't until recently that a Classic angler took down the title in his home state; I'm remembering Boyd Duckett in '07. However, in the last four years, three champions won at home. So what's changed? My theory is that we're seeing a resurgence of past competitive advantage. History repeating itself, if you will. Looking back at our previous argument, it seemed a local favorite could never get over the hump. Woo Daves was the most famous example of this: Despite ravenous fans outnumbering any in bass fishing history, screaming his name from the rafters, Woo fell just short in back-to-back-to-back attempts in Richmond in the late '90s. The pressure, the media, the fans; it was all just too much to overcome. For some time, that principle carried weight. However, today's Classics are different. The event has become nearly impossible to win unless an angler - likely armed with decades of experience and knowledge of a particular region or body of water - goes out and has the best fishing day of his tournament career. Think about it. The nearly impossible fairy-tale endings - those that I've joked appear to be scripted by B.A.S.S. itself - those have become commonplace in world championship events. The reason, I argue, is that the competitors and their equipment are now so good, so advanced beyond anything we've seen, capable of operating at the highest levels for these career-making events, that only the anglers with substantial regional history have even a chance of winning. Now one could argue that these repeat events, where competitors visit the same fishery two or three times in as many years, would, again, even things out. But it goes beyond that. Today, winners are intimately familiar with the water and are able to combine that knowledge with the ability to overcome pressure and excel at the highest level of competition. We saw it with Casey Ashley's deep-water blueback bite, we saw it with Edwin Evers's last-minute charge to perfect water, and, on the FLW side, we saw it with Justin Atkins' cane-pile magic. Things continue to change as our sport advances. 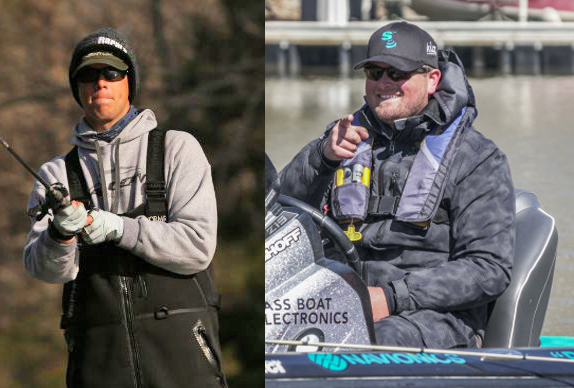 While I always acknowledge the power of any pro winning any given week, like Rick Clunn on the St. Johns or Clark Wendlandt at the Potomac, the world championships are now different. Next week, I'll give my annual Classic winner prediction that will likely match my new "best professional local" mindset. But with a surprise thrown in.